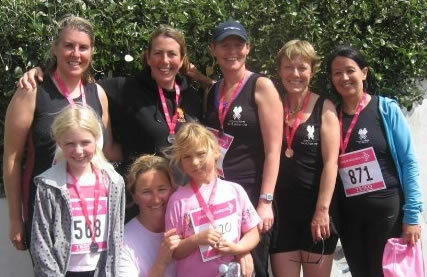 Well done to the FMPGC ladies pictured below for taking part in the Falmouth “race for life” yesterday. Nearly 1800 runners took on a 5km loop round Pendennis point in blustery (ok, howling on the point!) conditions.